So my good friend Hali has gone off into the world, and will be spending the next six months on the island paradise of Mallorca in the Mediterranean, abandon$ing me to the cold deprivations of the inhospitable wastelands of Washington state. She’s also taken my advice and made her own blog, which you should read because this post is going to be a direct response to her first post. First of all, though, some background. Hali is, without a doubt, the best friend I’ve ever had and one of the most unique people I’ve met. In Mary Tyler Moore, an ancient television show my mother made me watch, the main character Mary has a friend called Murray. Many times Murray comments that he thinks everything Mary does is terrific, and it’s my firm belief that everyone needs a friend like that. Of course we need people to help us keep our perspectives, and give us constructive criticisms, but everyone needs that one friend that will support you no matter what. 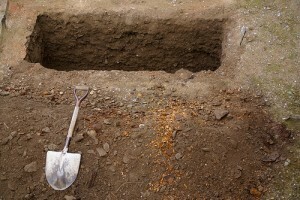 Someone that will help you bury the bodies. I'm speaking figuratively, of course...and no one can prove otherwise. That’s what Hali’s done for me. When I was struggling in community college, she kept on supporting my efforts to find other schools to go to. When my replacement school kicked me out, she never doubted that I’d find a better school. Currently I’m endeavoring to enter the Royal Veterinary College in London, England, as well as attempting to start up a freelance writing business (hoping at least one of the two work out). Hali thinks I’m capable of doing both, and that’s what makes her grand. You are one of those great people, Hali, and don’t you ever forget it! Thanks Hali! Glad you enjoyed it, even if you were already feeling better! I’ll probably still be here, even if I get into the RVC, I won’t be heading over to England until August. See you when you get back! I expect you to have plenty of awesome stories to tell!